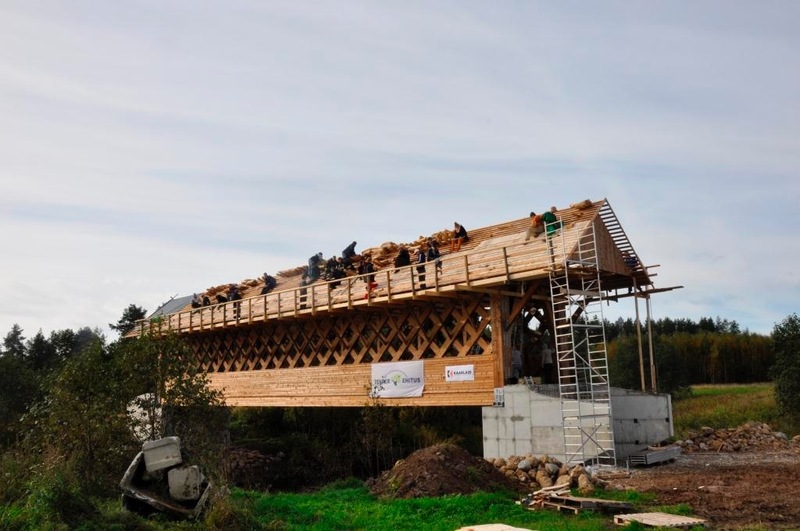 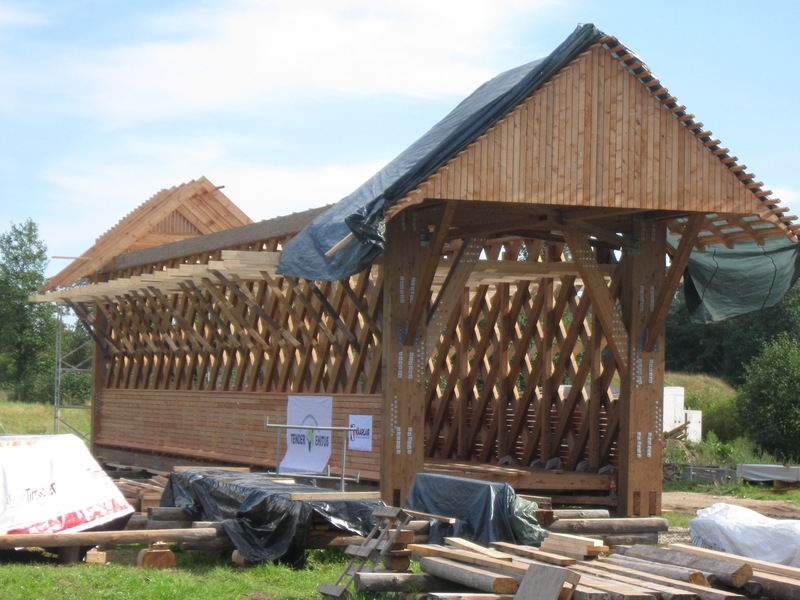 In August of 2012 I was invited to north-east Estonia to help lead the construction of the first wooden covered bridge in the country. 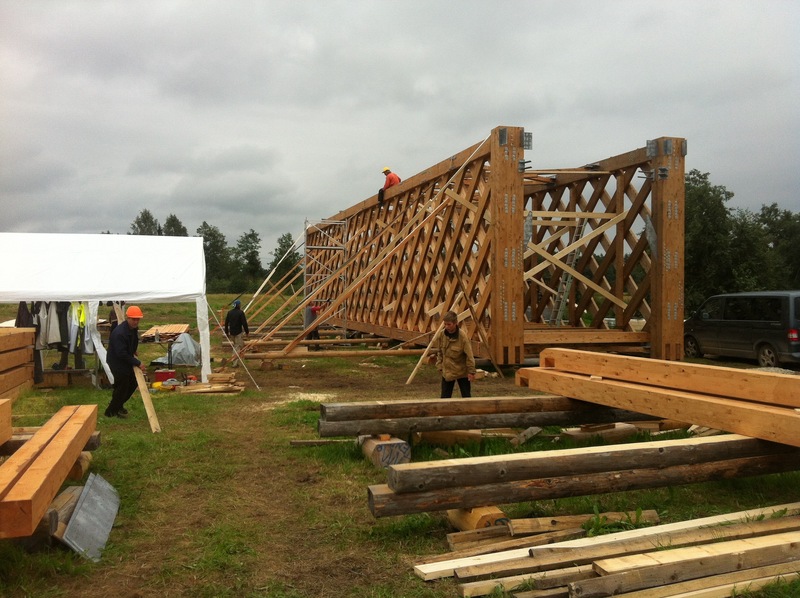 Over the course of four weeks, an international crew of volunteers fabricated and erected the bridge, clear-spanning 28 meters (92 feet). 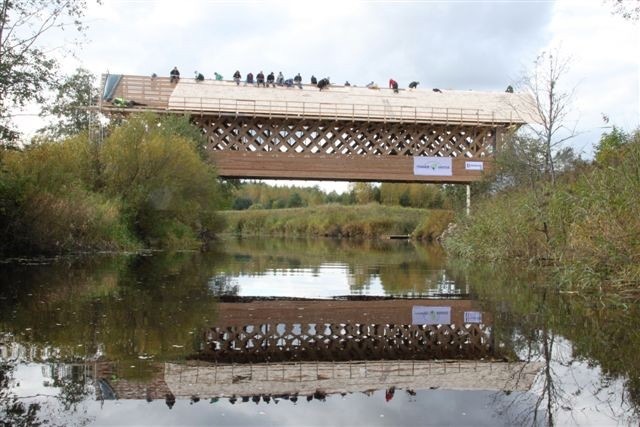 The bridge replaces an older simple wooden bridge that had been destroyed by ice ten years ago. 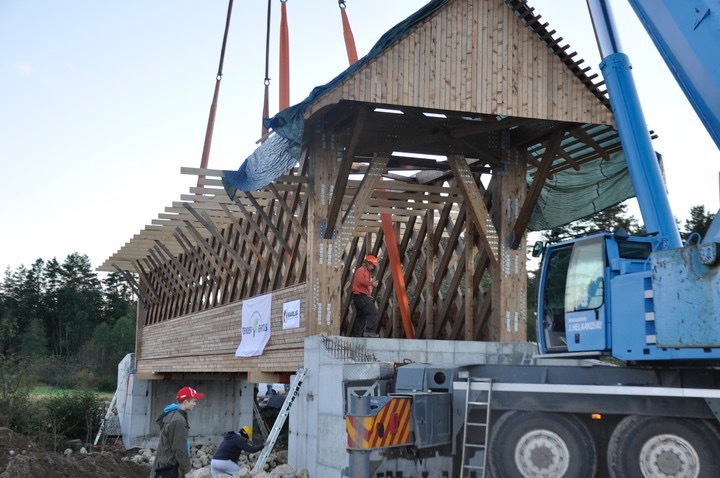 Part of the public road system, it connects a tiny rural community to a main road, saving them a 10-mile detour. 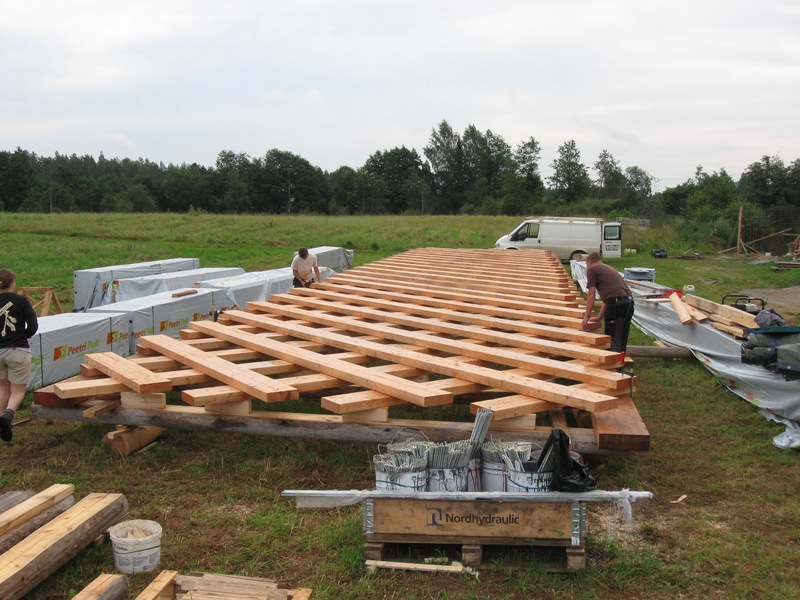 Due to constraints with engineering regulations in the country, the bridge design used metal brackets and bolted connections; however the lattice-truss design mimicked those built across the eastern US in the 19th century. The project went very well, with the team of volunteers, leaders, engineer, and local community all converging to lend a hand. 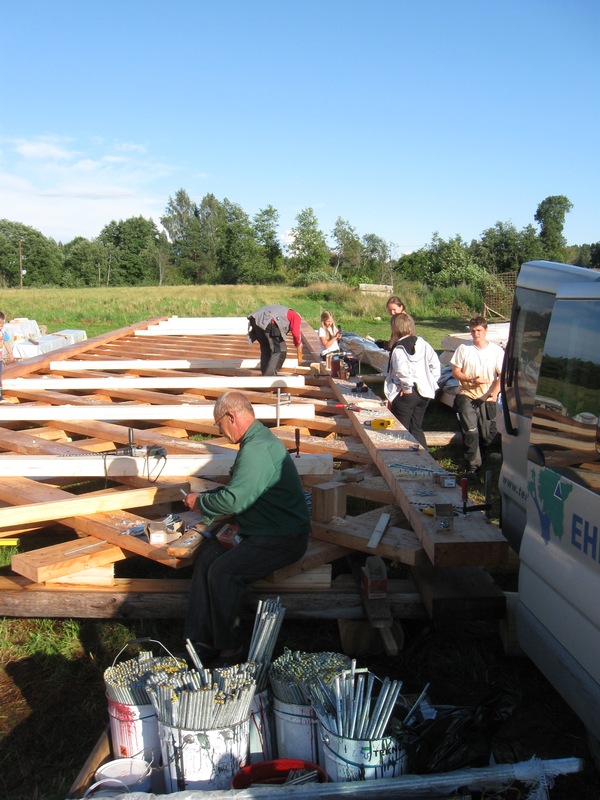 The beautiful countryside, excellent farm cuisine, and welcoming people didn’t hurt. 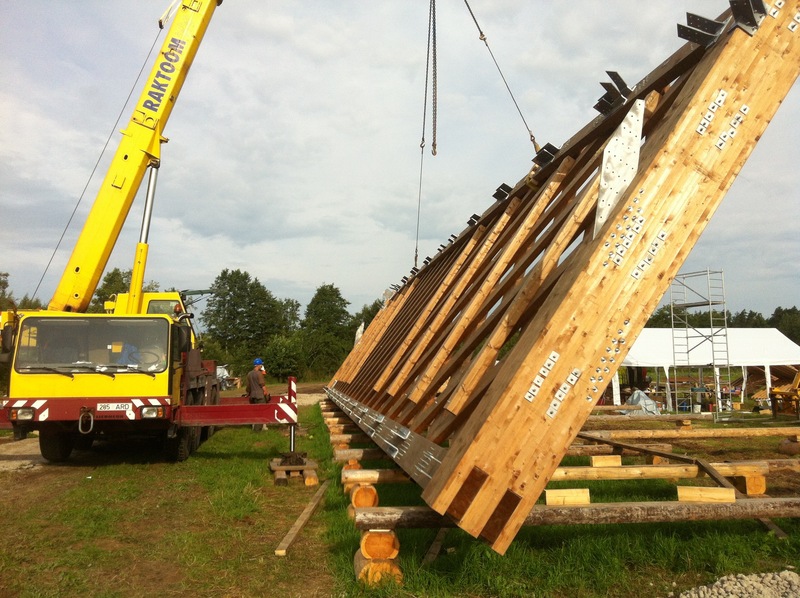 Plans are already incubating for the next visionary, international project to take place in Estonia. 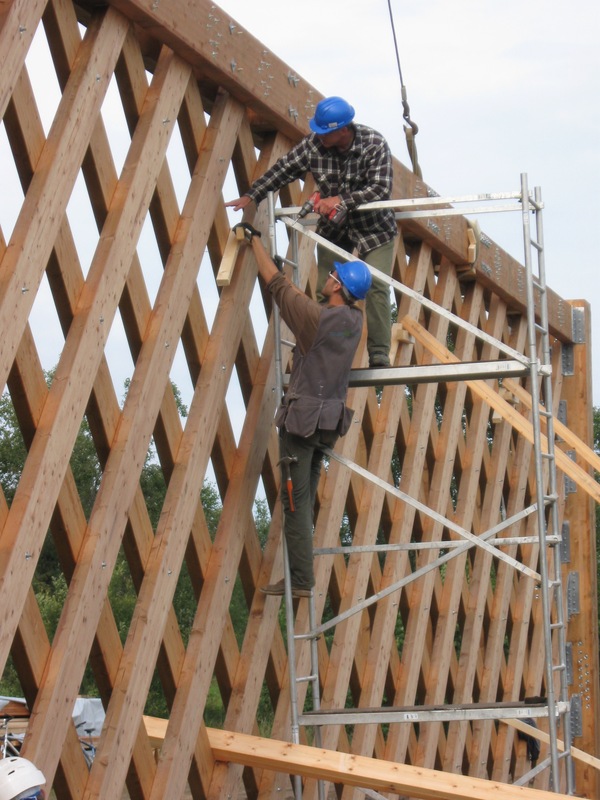 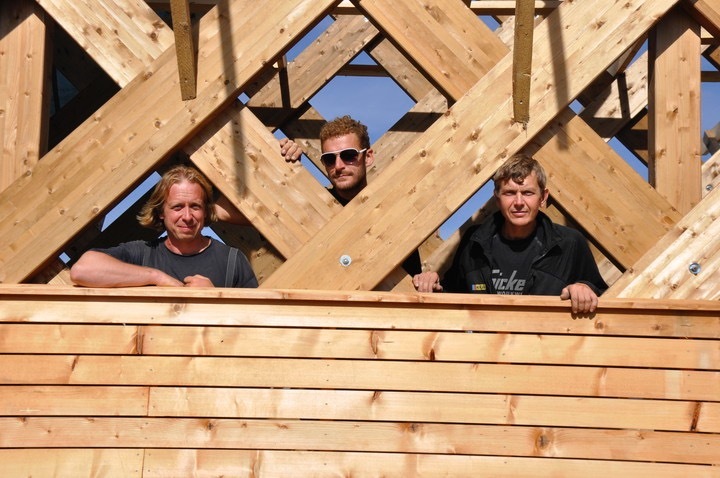 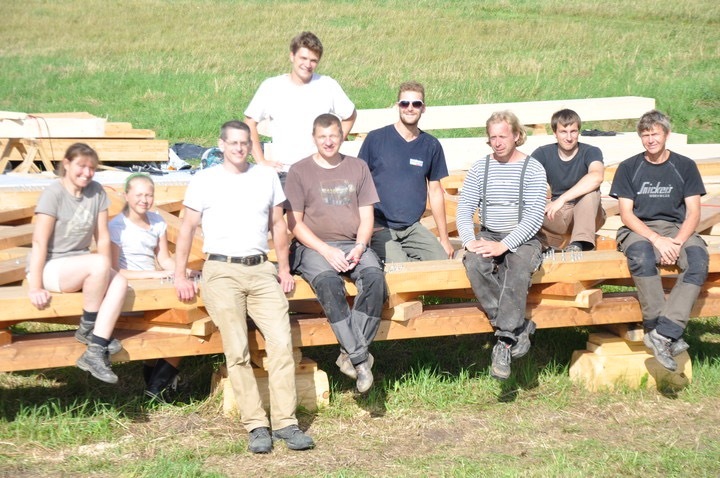 I was privileged to join the lead team as a representative of the Timber Framers Guild, and to join the owners of two prominent Estonian traditional-building companies, Hobbiton and Tender Ehitus.